Did you know? 7 out of every 10 people find it difficult to remember passwords. Now imagine, you are an employer with more than 12 people working for your company. You opt for a Customer Relationship Management application (CRM Application) to increase your sales. If every employee has different level access with different passwords, how difficult would it be to see what is happening? How can you go about installing SuiteCRM, Admin default username and password? Therefore, SuiteCRM offers a simple solution to this problem. The employer gets administrator-level access to the system. And the people working below him have access to only their accounts. The administrator can access all the information by using a single password and username. While installing SuiteCRM, Admin default username and password is set. It creates an SQL backend to store data of the business.It makes a database for your company where you can store and manipulate data. However, you do not have to worry about the blocks of codes required in PHP. You can simply enter your data on the front end, that is your SuiteCRM System. Once entered into the system it will automatically be stored in a database by PhpMyAdmin. What is a SuiteCRM default Password and Username? The default username is the username which is set during installation. Once the installation is complete, you can use the same username to log in to your system. The same is the case with a default password. Once set, the default username and password must be noted to ensure retention during login. Without these two fields, you may not be able to access your system. How to log in to your SuiteCRM System? 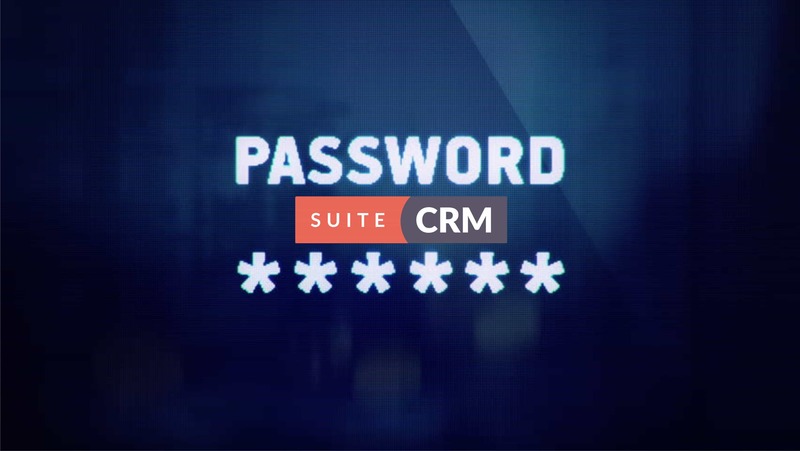 SuiteCRM offers its users with an automatically generated username and password. According to the SuiteCRM user guide, the default username is ‘root’ and the default password is generally nothing. So, for the password, you do not have to enter anything just press enter. In some cases, the username can be changed to ‘admin’. What about passwords for different user accounts? SuiteCRM lets you create new user accounts. When you create an account, its password is sent to you automatically by email. If the user forgets their SuiteCRM user account password, they can simply click on the forgot password button. They will be redirected to a different page to set a new password. However, to enter a password that is not system generated you must change the settings. If this is not done, you will be getting a system generated password whenever you click the ‘forgot password’ button. Now change passwords for user accounts in the user management module. Now your employees can put their best foot forward to generate leads and get more customers. The default username and password do not take any effort to be cracked. With those fields the same as they were during installation, your data is not secure. This way, your data is not your data alone. It can be accessed by anyone, easily. And all your hard work will be in vain. Therefore, it is extremely necessary to change the default administrator username and password to something that is not accessible to anyone. Not even your employees. You cannot trust everyone with the sensitive client information and employee information of your company. To conclude, a unique combination of username and password can help keep your data safe and secure. To provide maximum customer satisfaction, which is the motive of a CRM application, you must keep their information protected. If they cannot trust you with their personal and sensitive information, they might consider a different company. So, keep your company’s reliability intact by using a password and username pair which is difficult to crack. © 2018 Fynsis SoftLabs Pvt. Ltd.